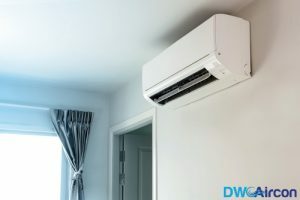 When it comes to aircon repair, you will likely contact the best aircon contractors in Singapore to get the best service. 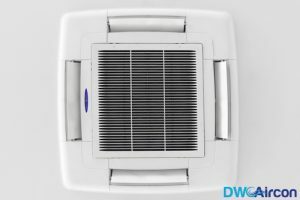 However, there are certain small issues that can be handled by you easily provide you have the right aircon repair tools on hand and a little DIY guidance from YouTube tutorials. You need to have the right tools because in case you need to do some minor air conditioner repair. If you do not have the right tools it will be difficult for you to manage. Here is a list of the basic aircon repair tools that are used by most reputed aircon company in Singapore. Among the Aircon repair tools the electric drill is most essential. It is used for various purpose starting from drilling to install new compressor or for making holes on the walls for anchor bolts. You must use 18V at least. This electric drill requires a charger and two batteries. You will find that a high-quality drill will be costly but do not compromise for that as a good drill will serve you later and make it worthwhile for every penny that you spent. Pliers too will be required when you start repairing the Aircon, especially when you have to remove a clip from any hard to reach place of the Aircon. It is good if you can buy whole set of pliers but if it is not feasible then buy the long nose plier. One with long pointed nose will suffice the need. Depending upon the type of blade you have on your sawzall saw, you can do almost anything with it. You must invest in one that is durable with a charger that keep the batteries charged. Investing in quick release blade system seems more feasible. You will require a tube cutter in order to chop the copper tune of the Airconditioning system. The tube will be around an eight inch to half inch in diameter. You can adjust the cutter to cut tubes of any size diameter easily. You need to be very careful while cutting the tubes as excess pressure may damage the copper. Most essential tool for any DIY project. 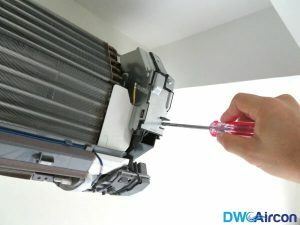 Most aircon repair in Singapore will require different types of screw drivers for opening the nut bolts. They are available in different sizes and shapes. It is best to use screw drivers that have insulated handles that will protect you from any kind of shock. For aircon repair the most effective screw drivers are the 3/16 inch and the 1/8 inch ones. In order to bend the copper tubes nicely you will require a copper tube blender. This tool will have 3 size molded round wheels and it helps in molding the copper tube without any chances of cracks. If you have window style Aircon then this is a tool that will be required for removing the squirrel caged fans. It is an angled hexagonal tool that is made of hardened steel. The nut drivers comes handy when you have to drive nay hex bolts or remove them. They are most helpful when you have to remove nuts from any deep seated place. For repairing your aircon system you will require a 5/16 inch, 3/8 inch and ¼ inch sizes. You will require a lever for different works associated with your air conditioner. You may choose a magnetic lever that will let you work freely while you are levelling. While repairing the Aircon, it is obvious that you will be working with electricity. Thus, it is a must that you have electric testers handy. Before you start working you should always test the electricity condition with the help of electric tester. Apart from the tools mentioned above there are tools that will come handy when you are repairing the Aircon. It will make it easier to work on the repairing work. Some such tools are Domestic AC/Fuel disconnect set, universal valve core remover, adapter fittings, tube service kit for removing or working with any kind of tubes. These are the common tools used by a professional aircon specialist. Always handle the tools with care. 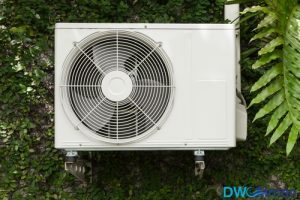 A step by step guide can guide you towards minor repairs, but if the issue is too big or complicated, always look for a profession aircon company that can handle the issue.